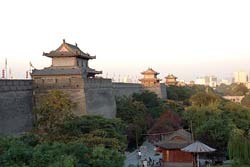 Upon arrival at the airport, pickup by our English speaking tour guide and start your Xian tours. 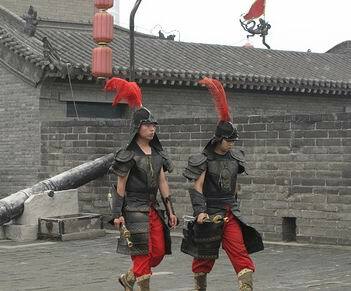 The visit of Shanxi Provincial Historical Museum makes you have basic knowledge of this area. 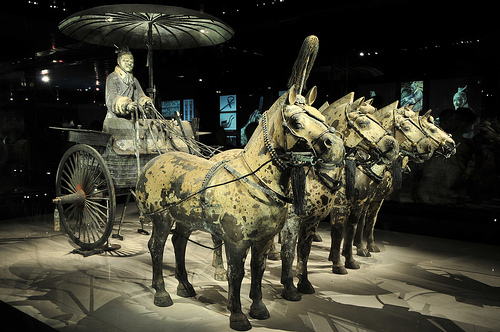 Visit the Terracotta Warriors, Bell Tower and Big Wild Goose Pagoda. Later today you will be transferred to airport for your flight to next destination. [ Optional ] No 144 of Bei Yuan Men Folk House: Ancient-styled folk house in Muslim Quarter of Xian, mainly a brick and wood structure. It was listed as a "key project of Sino-Norway Historical Districts Protection" in 1999, and Norway Government is the sponsor that helped this cultureal program.